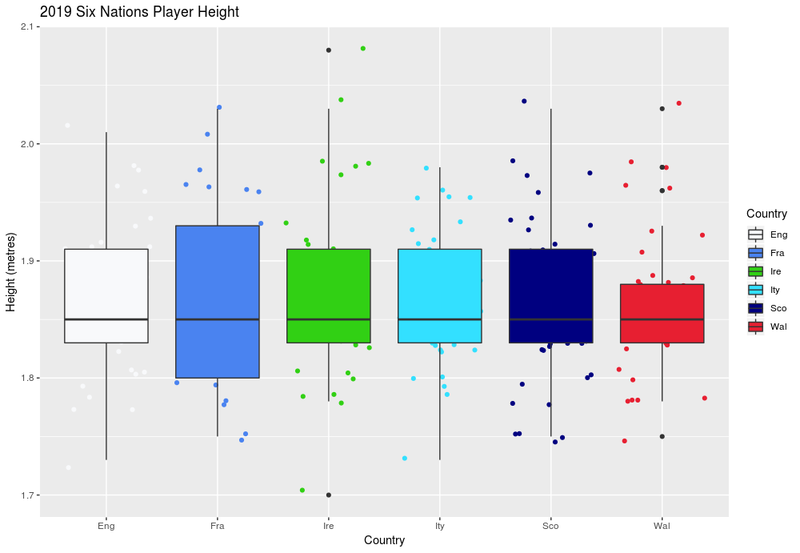 Back in the summer, we were all struck with World Cup fever and, in this post, I shared some stats and charts looking at the heights of players in the tournament. In a few days time the Six Nations rugby tournament kicks off for another year, so I thought it appropriate to have a look at the stats of those involved. Above you can see a box plot illustrating the weights of the six squads. 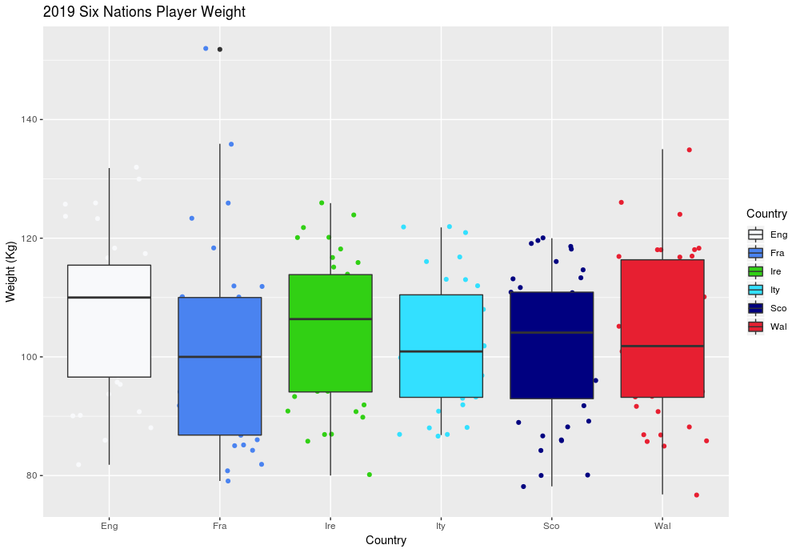 The plot above suggests to me that England have the heaviest squad, France the lightest, and also the team with the greatest range of weights. 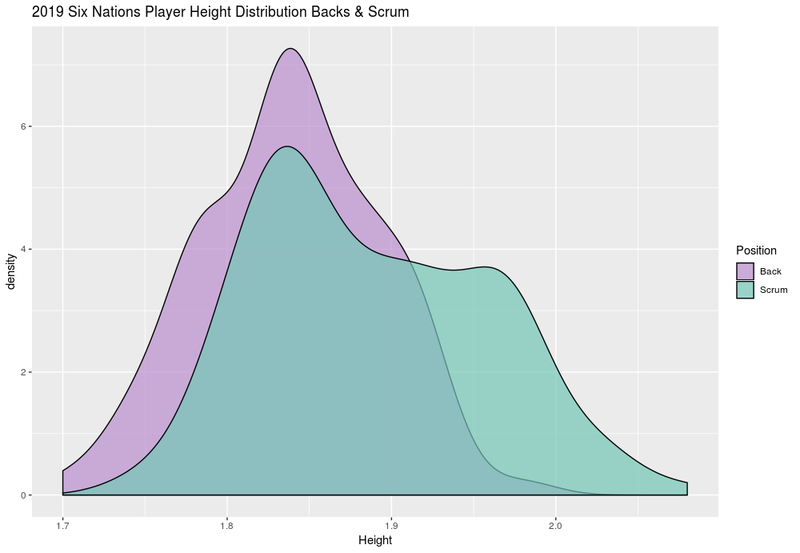 Having plotted the above, it looked like there were a couple of peaks in some of the distributions, particularly noticeable in the England, Ireland and Scotland squads. 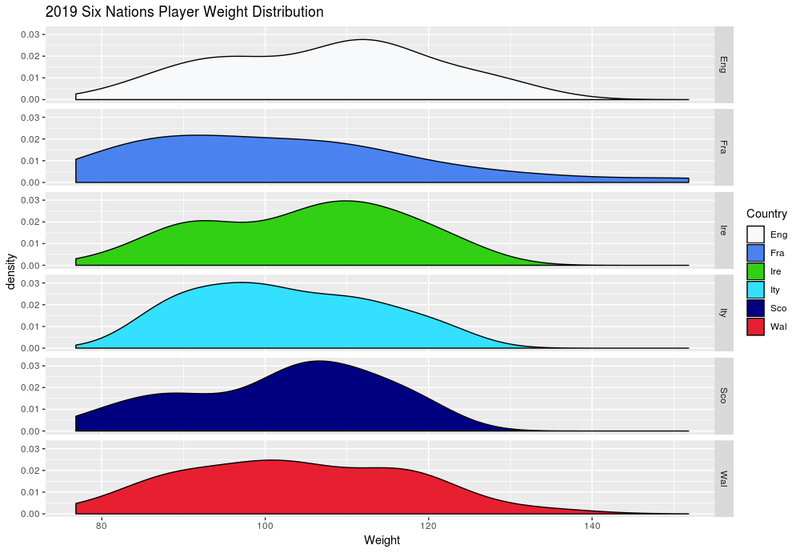 If we took a random selection of the population we world expect to see a much more smooth “normal” distribution, or bell curve. 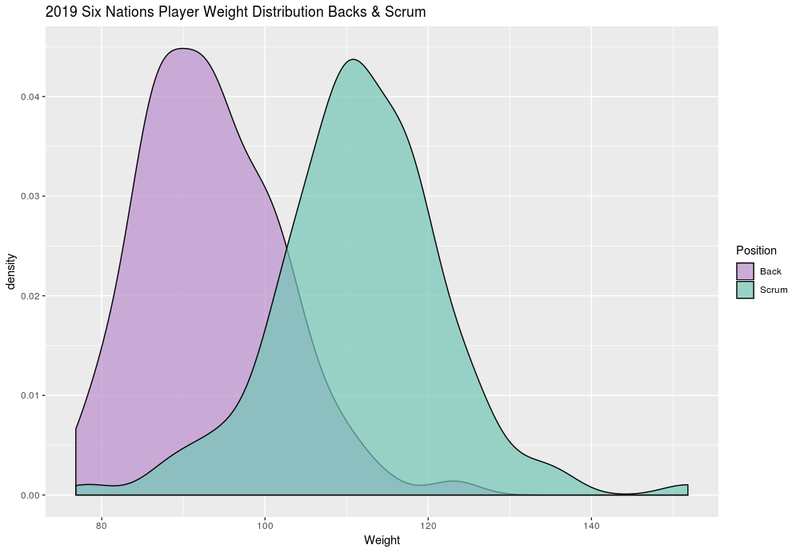 The individual distributions for the backs and scrum are fairly “normal”, but it is clear that backs tend to be lighter than those who ply their trade up front in the scrum. 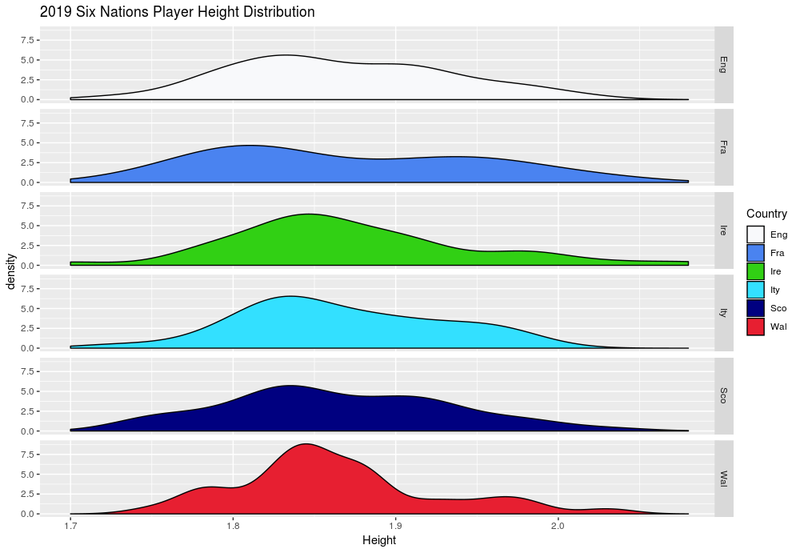 So what about player height? Below you can see some charts that map this data. I’m not sure if any of the above can help predict the eventual tournament winners, but you might find it interesting reading as we eagerly await Friday night’s kick off. 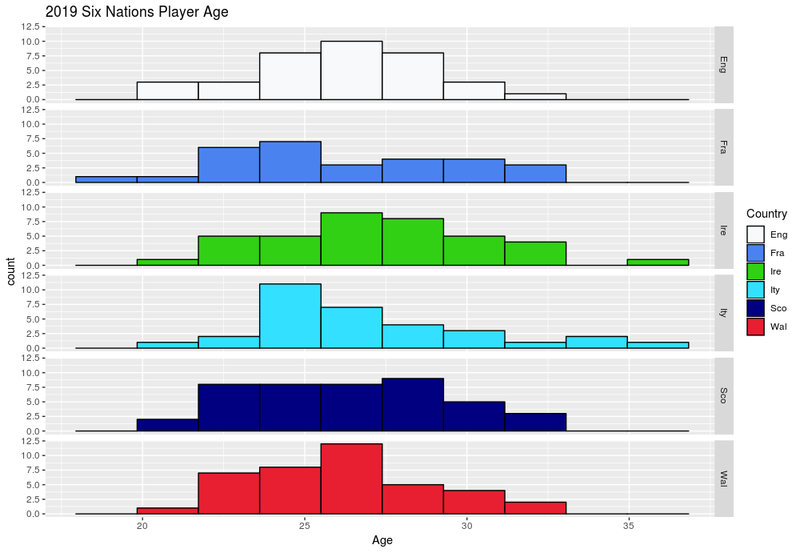 This entry was posted in Handling Data and tagged rugby, sport. Bookmark the permalink. Post a comment or leave a trackback: Trackback URL.